There have been many complaints that recent Android phones with flagship hardware almost always meant a very large screen too, and that all smaller smartphones, save for the iPhone, were mid-range phones that were severely underspecced compared to their flagship counterparts, so there isn't really an option for who wants an Android smartphone with a smaller screen, with high-end specs. 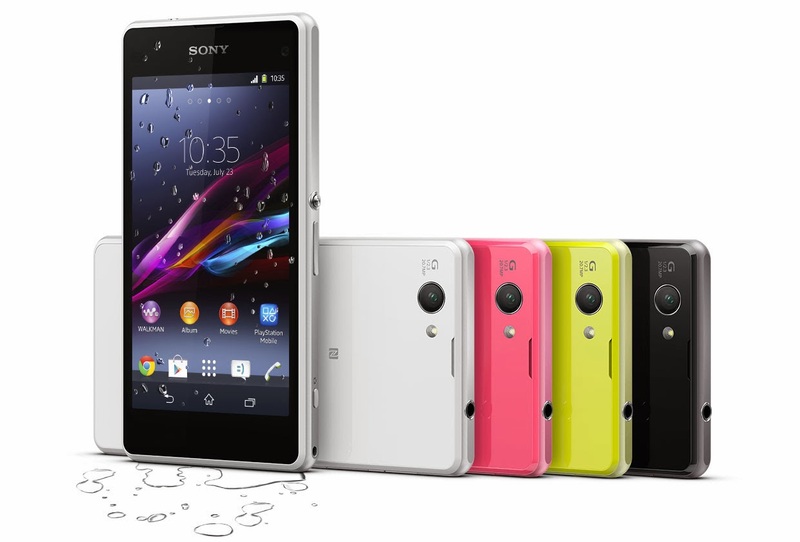 Sony will attempt to fill in that gap with its Xperia Z1 Compact smartphone. Unvieled at CES 2014, the Xperia Z1 Compact features almost identical specs to the 5" Xperia Z1 flagship, but in a much smaller 4.3" package. Most of the Z1 Compact's spec list is unchanged from the original Z1, save for the display size and resolution, and of cours the dimensions. This is the first Android smartphone in recent history that we can really call a small-sized flagship. Along with the rest of the Xperia Z1 Compact's specs, its design is very reminiscent of the larger Xperia Z1, but, you know, smaller. 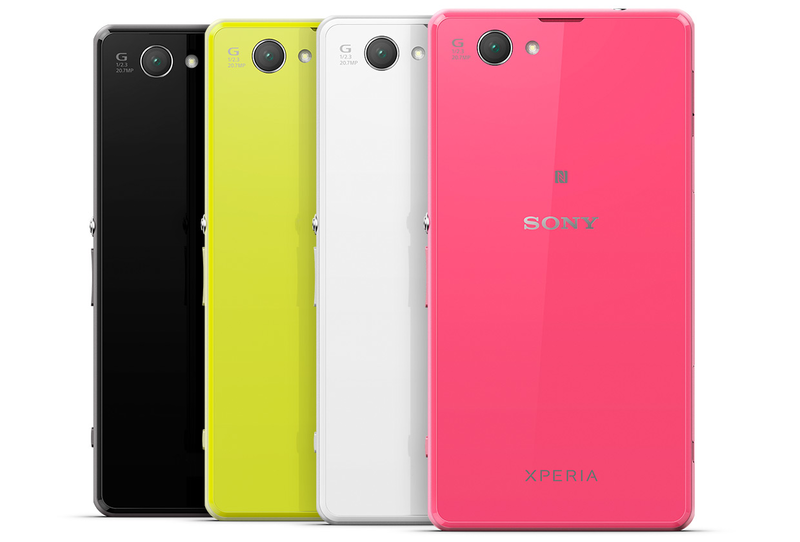 The Z1 Compact will be offered in various colors, including black, white, yellow and a very unusual pink. The Z1 Compact isn't among the thinnest high-end smartphones around, actually it's 1mm thicker than the Xperia Z1. Still, considering it packs a pretty large battery and that 20.7 MP rear camera (without the camera protruding from the chassis) more than justifies the thickness, and it's not exactly thick at all. It also weighs 137 grams, which is pretty heavy for its size, but then again, the large battery and the superb rear camera make the weight justice. The back of the device is made from a slightly glossy polycarbonate, just like the Xperia Z1 which doesn't look cheap at all. On the back cover there is only a centered Sony logo. On the bottom there's an Xperia logo, and on the top left corner is the 20.7 MP Exmor RS camera, and beside it is an LED flash. The front of the device is mostly clean, with the bottom bezel completely bare, and the top bezel accommodating the front-facing 2 MP camera and the ambient light and proximity sensors. Overall, the Xperia Z1 Compact's design is superb. The white and black versions are very simple and understated, while the yellow and pink versions have a Lumia-esque quality to them. Here's the only thing about the Z1 Compact that's really different from the Xperia Z1. The display size does down from a large 5" size to a more portable 4.3" size, and the resolution goes from 1080p to 720p. That means that the pixel density goes down from 441 in the Xperia Z1 to 342 in the Z1 Compact, but you'd have a very hard time trying to notice the difference in sharpness between the two smartphones. The 4.3" screen is still larger than the latest iPhone, but it's still much easier to handle than this year's 5" flagships. The Triluminos display technology used in the display helps it reproduce bright colors, and the X-Reality engine adds an extra pop to images and videos. For it's size, it's a very good display with no compromises. The Xperia Z1 Compact, much like the Z1 and most recent flagships, is powered by a Qualcomm Snapdragon 800 chipset, currently one of the fastest SoCs available, if not the fastest. This SoC is built on a 28nm HPM process, and consists of four Krait 400 cores clocked at up to 2.2GHz plus a monstrous Adreno 330 GPU. Considering that the Adreno 330 already performs exquisitely at 1080p, I imagine that at 720p there would be nothing in the entire Play Store that can even utilize its full power. 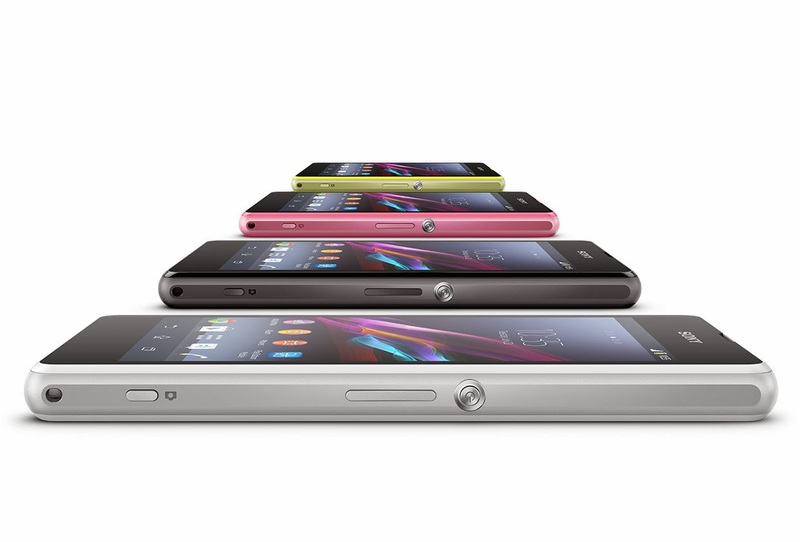 The Xperia Z1 Compact is expected to come out within the next few months. I expect its price to be lower than the Xperia Z1, but given its flagship specs the price may still be pretty high, maybe slightly below the flagship range, but definitely much above mid-range prices. I'm very happy to see Sony produce a flagship device with a relatively compact screen, during this age of ever larger flagships, and I hope other Android OEMs follow suit. With the Xperia Z1 Compact you get a flagship-grade processor, a very impressive camera that borrows from Sony's successful digital camera technologies, and a large 2,300 mAh battery with a smaller display that makes for a very compact flagship. If you've been looking for a flagship Android smartphone, but never quite enjoyed the size of the usual flagships and wanted something that was more similar to the iPhone in size, the Xperia Z1 Compact is the best phone for you.